We are very excited to have reached an average of 2,500 visits a day. We strive to provide only quality content, and we are very humbled from the people who visit us every day. 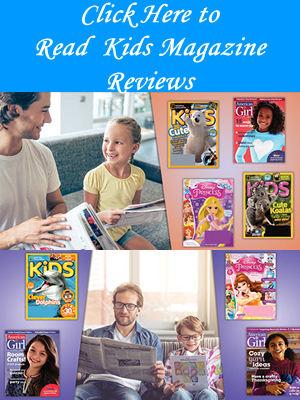 We try to give back to our readers whenever possible. Which is why we have developed a parenting toolbar for our loyal visitors to install in their browser. 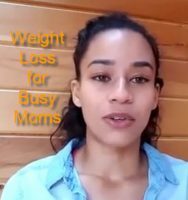 The intent is to help people navigate easily to the parenting and pregnancy resources easily and quickly find out when there are new articles or information on our site. To Download, go to our download portal and choose from and IE or Firefox version. 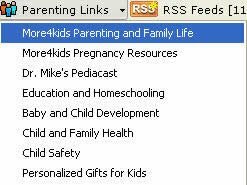 The toolbar consists of major links to parenting areas on our site, RSS feeds so people can keep up with our latest articles, and an integrated radio with local radio startions and also an easy way to keep up with Dr. Mikes childrens health podcasts. We will update this section of the toolbar on a regular basis. One of the great features is you will not have to reinstall the toolbar when we do. Our parenting links will take people to areas of our website, such as parenting, pregnancy, or homeschooling. It will also include links to other great websites such as Dr. Mikes Pediacast. We are very happy that we can provide an integrated RSS feed for major sections of our website. It is not important to understand what RSS is (really simple syndications). What is important is that it will provide our visitors a tool to see the headlines of our latest articles and then deciding if they want to read more. Along with all the other feature we have integrated a radio player into the toolbar. Our visitors will not only get to listen to local radio stations, but also listen to Dr. Mikes Pediacasts, a pediatric podcast for parents. We all care about the health of our kids and Dr. Mike tackles health issues such as Childhood Leukemia, Shopping Cart Head Injuries, Growth Slumps And Food Allergies, Fevers and Colds on a regular basis. It is one of the better parenting resources we have found and are pleased to share Dr. Mikes podcasts with our visitors. So where can you download our toolbar? Just go to our download portal and choose from and IE or Firefox version.